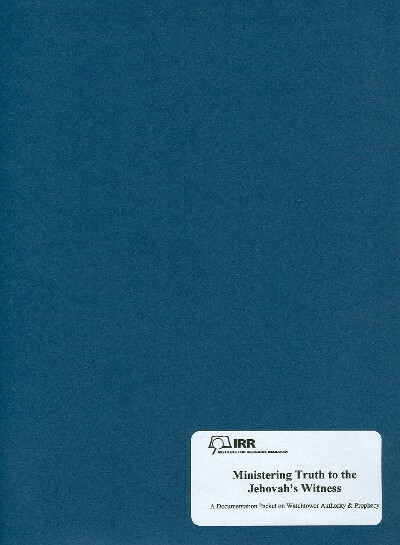 This documentation packet is designed to equip the believer for personal outreach to a Jehovah's Witness. The packet includes 3 tracts (Including Facts about Jehovah's Witnesses and Four Dangers of the Jehovah's Witness Organization). It also includes a main documentation section that provides evidence of the unreliability and false claims of the Watchtower Bible and Tract Society straight from Watchtower Society literature. Each quote has an accompanying full-page scan, taken directly from the WT literature which is also included in the packet. This packet is also available in a CD-Rom format.